My work expresses the interaction between human endeavor and the natural world and the constant friction between natural beauty and the constructed environment. Capturing the occasional interaction between these produces iconic images of treasured artifacts and reminders of times gone by in this series of paintings, inspired by a trip that I took to Scotland and England in 2017. My depictions of Prehistoric, Roman, Medieval, Georgian and Victorian structures convey not only the long history of the island, but also the exquisite juxtaposition of these constructions with the land itself. The past is easily accessible in Britain, and remnants of earlier societies are celebrated in place, rather than eradicated in the name of progress. 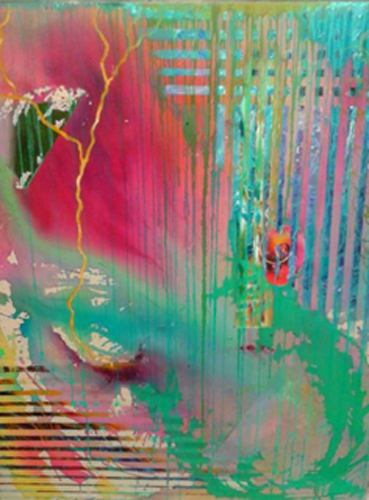 Revealing the properties of transparency, translucence and reflection continues to characterize my work, expressed in colour, form and contrast, rendered in a dynamic and expressive manner. Rather than strict representation, my work has always suggested an expressionistic rendition. This series of paintings takes that quality of abstraction even further, working toward a more loose and painterly delivery. Arts Place Annual Auction This Sunday! 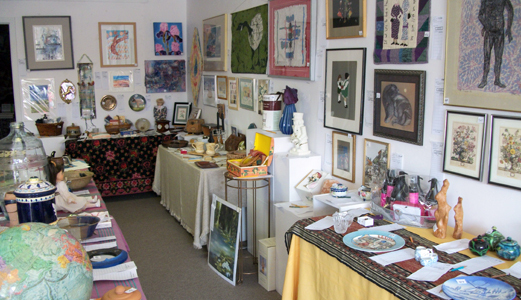 The Annual Arts Place Gallery silent auction is a wonderful opportunity to purchase one of a kind and unique articles at very reasonable prices. 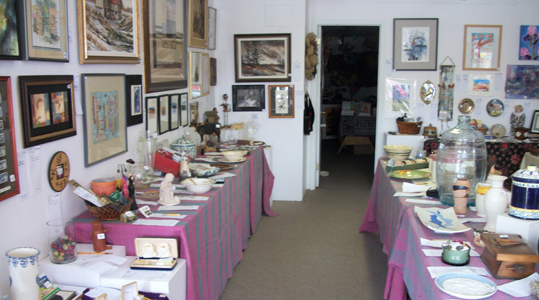 Many of the paintings and objects d’art are original paintings and priced well below normal gallery pricing making the purchase a good bargain. This year there is a large assortment of books as well. Any monies realized from the Silent Auction sales fund local art projects, cultural events and art education in the community. The Silent Auction runs from 2:00 to 4:00 on Sunday, April 19. Preview dates are Friday, April 17 and Saturday, April 18 from 12n to 4:30. The Gallery is located at 714 King Street, Port Colborne and is open Thursday to Sunday from Noon to 4:30 p.m. Below are two views of some of the many items at auction. 4 Artists For Charities, is an exhibit of paintings by four artists, with the proceeds of sales to be donated to designated charities. For many months the four artist colleagues and friends have been meeting regularly to discuss art, visit galleries, participate in workshops and classes and critique their work. Although their styles are different and their paintings their own, there is one thing they all agree on – they want to share their passion with others and in turn, help the community. They have individually decided to donate the proceeds of sales of paintings at the exhibit to a charity near and dear to them. Wyn Kalagian of St. Catharines and a volunteer with Wellspring Niagara, will donate her proceeds to the Cancer Support organization. Karen Zanutto of Fonthill currently a Board Member with the United Way of South Niagara will add her proceeds to the 2014 Campaign. Cathy Peters of Port Colborne and Gayle Yaksich of Hamilton will support the Region’s younger population by donating their proceeds to the Boys and Girls Club of Niagara. 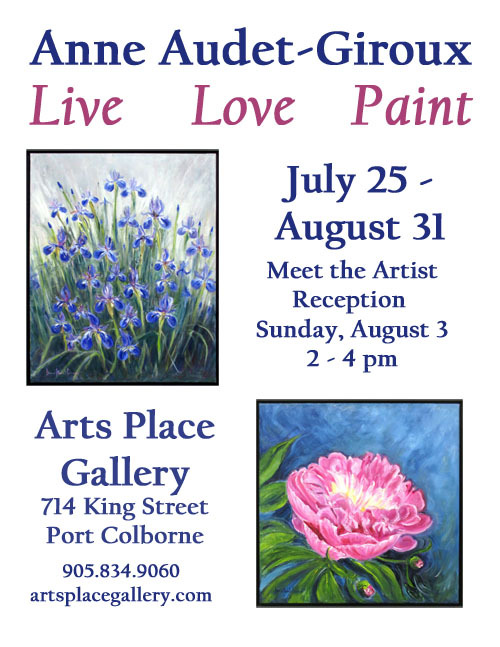 The exhibition runs from October 17 to November 30, 2014 at Arts Place Art Gallery, 714 King Street, Port Colborne, 905.834.9060. The Artists’ Reception is scheduled for Sunday, October 26, 2014, from 2:00 to 4:00 p.m.
Gallery Hours are Thursday to Sunday Noon to 4:30 p.m.